So you’ve finished sewing and you’re ready to tie everything up and move on. But how do you tie a secure knot that will ensure that your work will not unravel? This is my favorite method to easily tie a secure knot. 1. 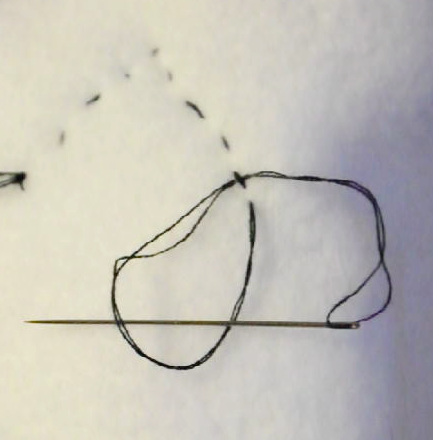 Slip the needle under one of your stitches. Make sure this is on the side of fabric that is not showing. 2. 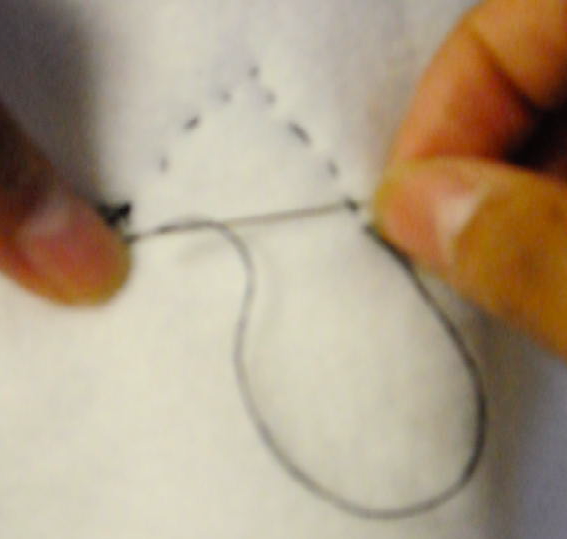 After pulling through the stitch, place the needle in the loop so that you essentially tie a knot around the stitch. 3. Tie a regular knot, making sure to keep it close to the fabric. Snip off the excess thread and you’re done! 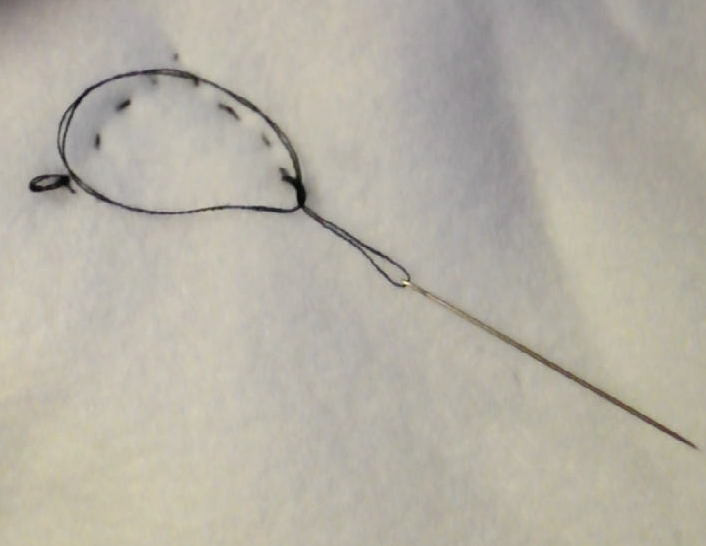 Make sure you have enough thread so that the needle can go through the loop. Otherwise you won’t be able to tie the knot, and all your work will go to waste! If you’re a little short on thread, you can place the needle through the loop back first instead of front first. It actually makes a difference.